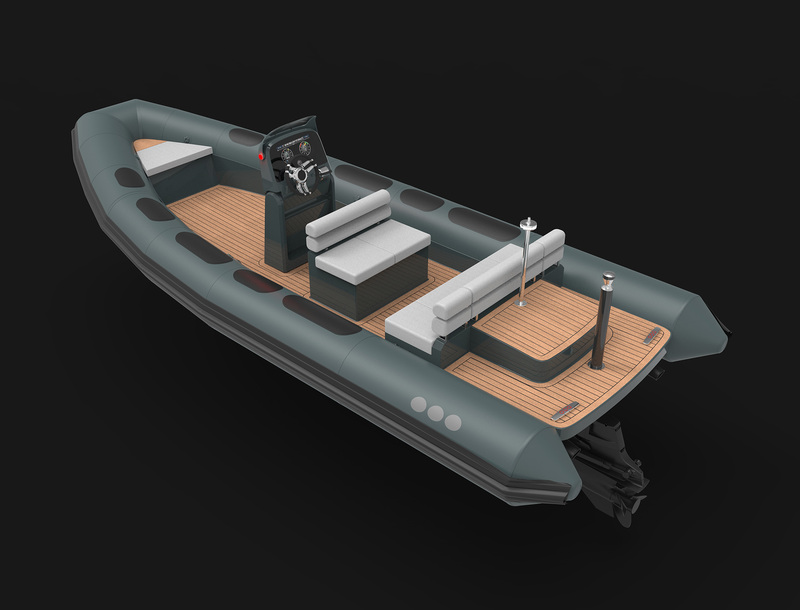 We have developed this Crew Tender in cooperation with a partner company which is specialized in commercial RIBs for police, coast guard and rescue services. On this platform we have integrated a folding helm console and different configurations of cockpit seats. 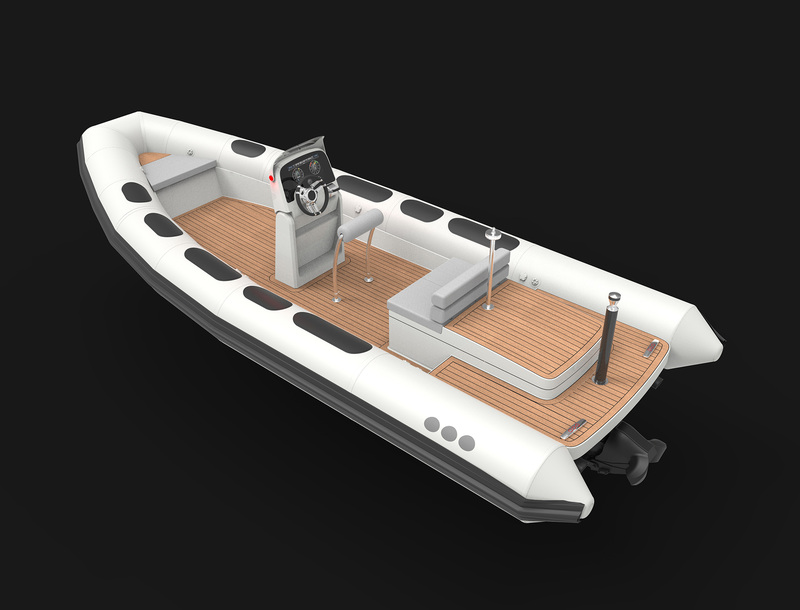 The result is a very robust and seaworthy boat, with practical details which make it perfectly suitable for the use as a crew tender and work boat. 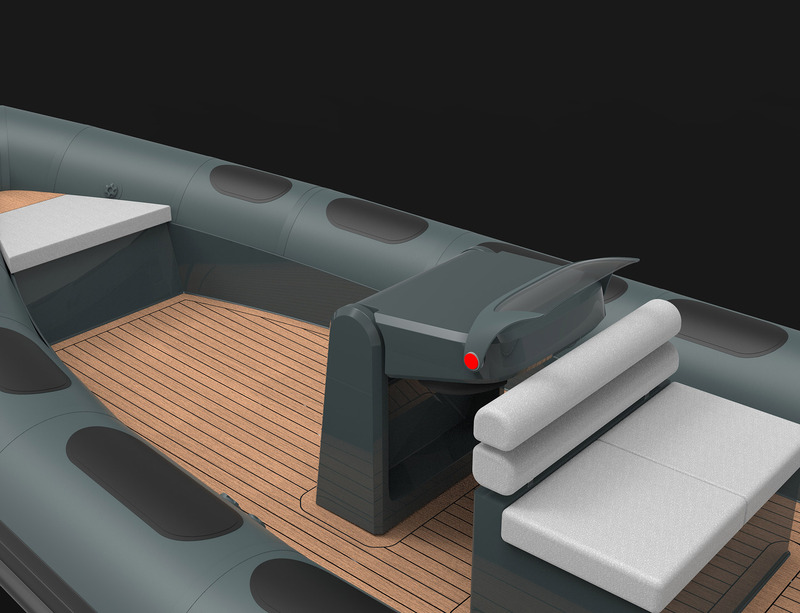 The boat can be equipped with stern drive or jet drive propulsion, and the options list includes water tanks for technical water and a high pressure pump system for washing down the topsides of the yacht.